In Inspired by... a talented young photographer highlights an image that has inspired them throughout their career. This week, Alexandra Hunts sees the ancestry of photography reflected in ancient mirrors. 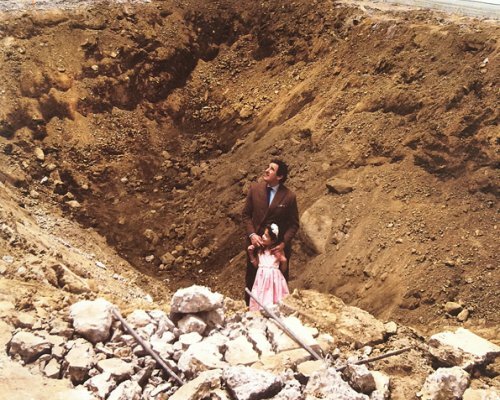 Whilst doing research on ancient mirrors, which can be regarded as the ancestors of modern photography, I discovered the Mexican-made artwork of Robert Smithson. The Mayan culture largely remains a mystery to us, as almost all the ancient Mayan scripts were destroyed by conquistadors during colonisation. However, we do know that the people of ancient Mexico used polished obsidian mirrors called 'Tezcatl', for black magic. Smithson is mostly known for his Land Art. 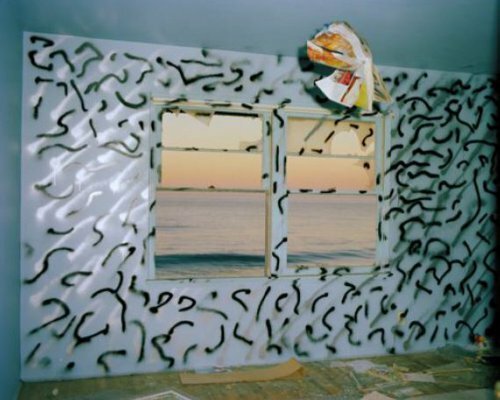 However, his project Yucatan Mirror Displacement is somewhat different from his other work, as it deals with photography in a very interesting and unusual way. In this project, he questions the way knowledge is dependent on the subjectivity of its source through mirrors placed, and photographed, in the landscape. In 1969, Smithson followed writer John Lloyd Stephens’ route by visiting Mayan ruins in Yucatan. He was trying to discard his own guidebook and make art that would collapse the distance between modern times and the ancient Mayan world. The project explores the following interrelated aspects: the physical process of travel and the placement of the mirrors in the landscape, photographs of them, and an article in Artforum referring to an earlier text by Stephens – Incidents of Travel in Yucatan (1843). The text allows us to learn about Mexican traditions and offers a history of the land where the temporary mirror pieces interact with it. Smithson photographed the mirrors in the jungle near the Mayan ruins. His goal was not to show these artefacts, but rather to capture the reflections of the surroundings in the mirrors. The photographs tell the tale of the moment from a singular perspective. Mirrors stand for the manipulation of reality present in the world. By incorporating them, Smithson asserted his subjectivity and active experience of the places he explored. The camera is a tool to question the conventional representations of a 'closed landscape' and also acts as a mediator between the experience and the artist himself. I find Smithson's clever weaving of performance, sculpture, photography and writing very inspiring. I'm also impressed by his investigative approach to 'reality' and its representation, between experience and its form, and the way in which he questions our knowledge of time – past and future – in order to position us in the present. Alexandra Hunts (b. 1990, Lviv, Ukraine) can best be described as a sculptor and installation artist who uses photography as a tool. She focuses on the tension between science and culture, reality and fiction. Her work has been featured in exhibitions throughout the Netherlands and Europe, and is currently on show in the USA, in the Norton Museum of Art. She was selected as a 2016 Foam Talent, and as thus her work is featured in Foam Magazine #45: Talent. She lives and works in Amsterdam.